Datum Wholesale is the top manufacturer and wholesale supplier of shade structures in the country and wants to help your business. Believe it or not, 2018 has come to a close. Now that it is the new year, it is a good idea for business owners to look for ways to improve their operations. Have you given any thought into investing in a shade structure this year? 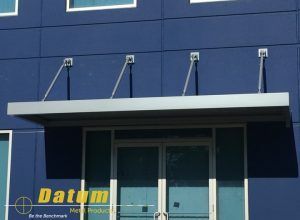 Datum Wholesale is the top manufacturer and wholesale supplier of shade structures in the country and wants to help your business. Here are some of the benefits of choosing to be a datum customer! Datum Wholesale is committed to the satisfaction of our customers. By choosing to invest in one of our shade structures you can rest assured that you are in good hands. Since our products are all-aluminum, you will never have to worry about rust! Our structures are built to last as they can stand up to the harshest weather conditions. Our products are leak-free that even come with the option of a high-quality powder coat finish. This is applied after your structure is assembled to make it even more durable. You do not have to worry about the paint on your shade structure ever chipping because we include touch-up paint with every order. Most businesses do not want to hassle with assembling their shade structures. We want to save our customers time and money, so our structures are shipped pre-assembled. This allows our crews to arrive on site faster because the structures are fully assembled. Our superior designs are built to last. Our designs are durable and capable of any load! Did you know that Datum Wholesale offers customizable designs? We want to ensure that your new shade structure fulfills the needs of your business. We also have special fabrications available as well!